Prestwich based MPG Services undertake all aspects of plumbing. 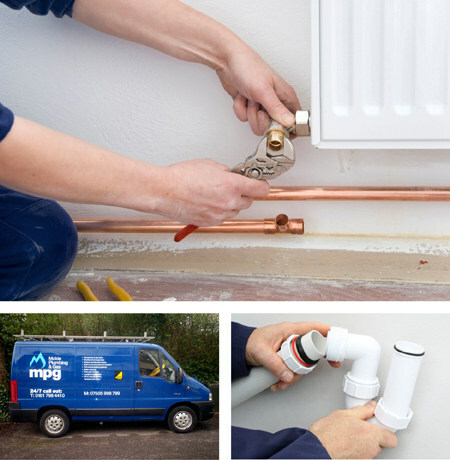 From kitchens and boilers to bathrooms, heating and gas, we work on domestic projects and whether it's replacing a worn down tap washer, carrying out a central heating conversion or fitting a kitchen, MPG aim to get jobs sorted quickly and efficiently. Estimates are free, we cover Prestwich and the surrounding areas and all our work is guaranteed and covered by public liability insurance to the value of £1 million. At MPG, most our work comes from customer recommendation so above all we want you to be happy with our work a so that you can recommend us to your friends. A full list of services can be found on the services page.